Winnipesaukee priced to sell!! 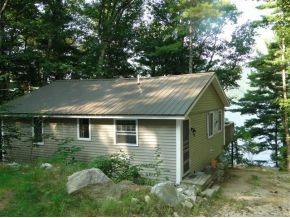 This 2 bedroom cottage on Lake Winnipesaukee is located in Alton NH. Located on the eastern shore this home offers all day sun. This cozy cottage has an old time feel built in 1950 with many modern updates. Metal roof, vinyl siding, full basement, dock, private setting and again priced to sell. Listed by Coldwell Banker RB. This is a Fannie Mae HomePath property. Purchase this property for as little as 3% down! This property is approved for HomePath Mortgage Financing. This property is approved for HomePath Renovation Mortgage Financing. For additional information on this home call Lady of the Lake Realty at 1-888-737-5550 or e-mail at info@nhlakesrealty.com or visit our website to view similar lake homes in New Hampshire at www.nhlakesrealty.com or www.lakeorskirealestate.com Contact us today to see if this home is still available? ?